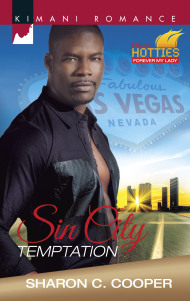 Sin City Temptation & Legal Seduction by Sharon C. Cooper on sale! Winter Pampering Sale… Lavender Fusion, Brown Sugar Fig & Cinnamon Almond PLUS a gift soap! For $15, you get these 3 soaps PLUS 1 gift soap with shipping included! Lindsay left Eleanor in the great room in front of the crackling fireplace. She walked toward the kitchen in a state of shock. Eleanor was here…in her house. In the house that she shared with Chad and Cook….Eleanor. She shook her head to make herself focus and loaded a silver plated tray with lemon cookies while the teapot heated on the stove. She added two cups, silverware, and napkins to the tray, and took a deep breath. Lindsay jumped, startled by the sudden appearance of Cook behind her. She turned to see her dear, short, elderly friend sporting her silver fox wig. She hadn’t felt well earlier that evening so had retired to her room. Lindsay turned and busied herself with pouring the heated water and adding a small bowl that had a selection of sweetener packets. Lindsay debated what to tell her. She knew Cook was liable to put Eleanor out in the cold or worst. Lindsay on the other hand was curious to know what prompted her to show up at her home after all this time and all that had occurred. She was definitely the last person she’d ever expected to show up on her doorstep—actually to ever see again, especially since her and Terrance’s divorce finalized over a year ago. But here she was. Lindsay turned and leaned forward to kiss Cook on the cheek. Cook had been the first employee Chad had hired while she’d been hospitalized. Cook’s first name was Shirley, but she insisted on being called Cook and so they did. She’d proved to be more than that to all of them at Serenity Inn. It was as if she’d become their adopted mom—their source of wisdom in times of trouble. She was deeply cherished and that was why Lindsay was adamant about her resting. If she never cooked another meal, she wanted her to be well so that she could be with them for many years to come. Cook sighed resignedly. “I know. She’s a sweet thing too. I’m so glad she moved here. Though with her, you probably don’t need me as much.” She sniffed. Lindsay smiled at her, hoping to convey the love she had for her within her heart. She rubbed her friend’s forearm. “Don’t you threaten me, young lady.” Cook sassed. Cook did an about face and fussed the entire short distance to her room. Lindsay picked up the tray and headed back into the great room. She busied herself serving Eleanor’s tea and cookies. It hadn’t occurred to her to offer her anything else, but then she didn’t expect her to stay long. They each held a bone china cup, Lindsay looked across hers to the woman that had tormented her upon their very first meeting. She bore very little resemblance to the diva that she’d once known. This woman who sat across from her, though every bit as beautiful as she ever was, was different. Lindsay took in the change in her hair color but realized it was more than that. This woman appeared hesitant and unsure—definitely not the woman she’d met nearly two years ago. Eleanor took a cautious sip of tea and then returned the cup to it’s saucer. She wrung her fingers and glanced furtively at Lindsay but then quickly dropped her gaze. Lindsay coughed, spluttering tea out of her mouth. She quickly sat her cup down on the table before her and reached for one of the napkins. She dabbed it on the front of her top to absorb the liquid that dampened it. Eleanor jumped up to rub her back, a gesture meant to ensure she wasn’t choking. Lindsay looked up and was surprised to see something resembling concern in her eyes. Actually, she had nearly dismissed it, figuring she’d only imagined it. The Eleanor she’d once known wouldn’t have bothered. “Are you okay?” Eleanor asked, as she stooped to gaze at Lindsay. Lindsay’s mouth opened but no words came out. She wondered if she should agree or just nod. In the end that was what she did—just nod. Still, she couldn’t see herself giving Terrance’s address to this woman. 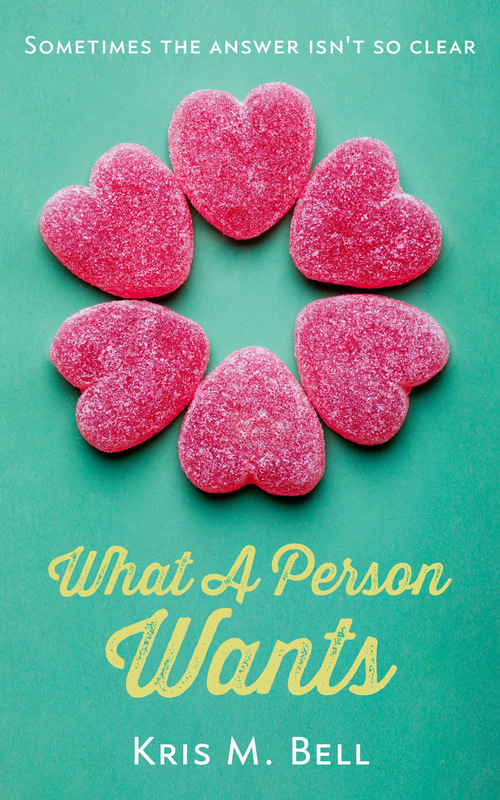 Despite what appeared to be a heartfelt confession, she didn’t trust her. Was it possible that she could really change from the barracuda she’d once been? Maybe so, but Lindsay didn’t want to be responsible in the event she really intended to cause Terry some harm. In fact she was really starting to worry for herself and all in the house with her. Stranger things had happened with mental illness and she wasn’t completely sure she wasn’t staring such a case in the face right now. Lindsay knew if she opened her mouth, her tongue would roll out. She blinked her eyes a few times but still she could not bring a single word to mind. Still she couldn’t believe she was looking at the same woman who nearly terrorized her in Chad’s home. Her tummy began to squirm as the baby did somersaults within. Lindsay figured the baby was in shock too. Finally, she leaned forward and grasped her tea-cup and took a few sips as she wrangled within her mind with what to do. The grandfather clock chimed the six o’clock hour and she smiled. “Wait Cook,” Lindsay called out trying to grab her arm. “I do think she has changed…some,” she added her gaze swinging to Eleanor then back to Cook. Eleanor nodded. “I don’t expect you to take my word for it. I just wanted to try…”She paused to take a breath. “Please forgive me, Lindsay. I-I know that I don’t deserve it from you or Chad. I don’t expect it from Terry, but I …” her voice trailed off in a whisper as she caught her bottom lip in between her teeth. But even that couldn’t keep the sobs from erupting. Her body seemed to collapse beneath her onto the sofa behind her. For the second time that evening Lindsay was completely shocked, she moved toward her. Hesitantly, she placed a hand on her shoulder. Her eyes shifted to Cook, who’d crossed her arms, silently watching the woman Lindsay sought to comfort. As the sobs continued to rack Eleanor’s body, Lindsay tried to soothe her and gently rubbed her back. Shakily Eleanor stood and walked toward her watching closely as Cook held out her coat toward her. She now grasped her coat and slid into it. Her gaze took in the two ladies. “Thank you so much for your hospitality.” Lifting a trembly smile at them, she pulled the door toward her, gasping as the brutal cold seemed to steal her breath. A flurry of flakes danced beyond the threshold before the porch light, stippling her face with its hardened bits. Pulling her infinity scarf closer around her face and throat, she braved the harsh wind as she walked toward her car.